The Sparkle Wing RS2 was invented by professional fly tier Bob Churchill. Churchill’s pattern is a variation of the original RS2 created by Rim Chung nearly 4 decades ago. Churchhill substitutes Pearl Braid for the saddle-hackle webbing (for the emerging wing) used in the original design. Churchill uses a few fibers of elk for the tail. Another option is to use a clump of gray rooster hackle one shank length long. 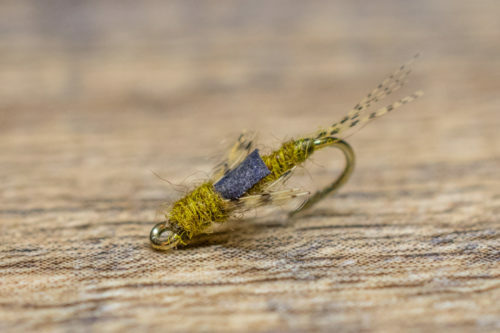 Although the original pattern was gray, you can easily change the color of the dubbing to match just about any mayfly emergence. It is a must-have for a blue winged olive hatch! The Sparkle Wing RS2 was invented by professional fly tier Bob Churchill. Churchill’s pattern is a variation of the original RS2 created by Rim Chung nearly 4 decades ago. Churchhill substitutes Pearl Braid for the saddle-hackle webbing (for the emerging wing) used in the original design. Churchill uses a few fibers of elk for the tail. Another option is to use a clump of gray rooster hackle one shank length long. 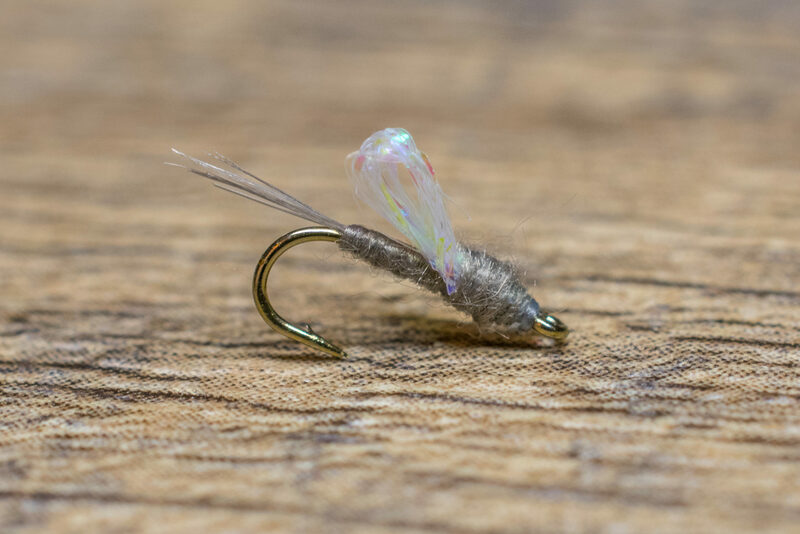 Although the original pattern was gray, you can easily change the color of the dubbing to match just about any mayfly emergence. The Sparkle Wing RS2 performs well in a variety of conditions. We recommend changing your attractor based on the season but routinely keep the Sparkle Wing RS2 as a dropper due to its versatility. 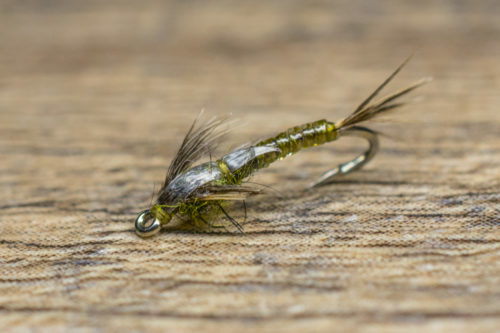 The Sparkle Wing RS2 is an effective mayfly imitation from the bottom to the top. 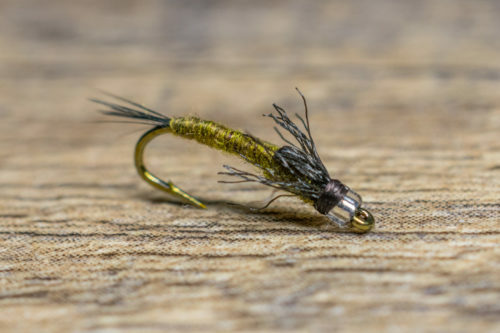 During non-hatch periods, or during the initial stage of a hatch you can fish the Sparkle Wing RS2 off a larger attractor nymph near the bottom. As the hatch intensifies you should fish less weight allowing the fly to drift mid-column. 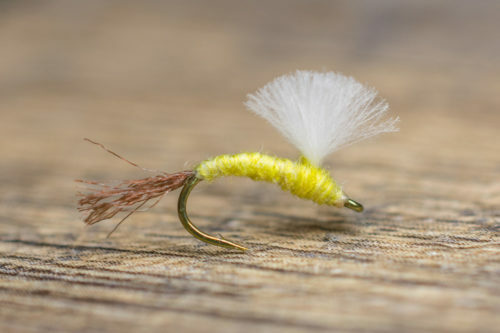 During the peak of the hatch, when trout may key on emergers, a Sparkle Wing RS2 is a good candidate for the greased leader technique. A black Sparkle Wing RS2 is also a good drowned Trico imitation when trout are keying on sunken spinners.